"I don't usually write comments, however our lunches today were outstanding. Perfectly cooked, the service was friendly and helpful, menu varied and interesting. My husband enjoyed the wine, my pear juice was delicious, coffee excellent. As for the desserts, wow! Thank you so much to all the staff for the best meal we have had for ages! We wish Skylark every success for the future. Kind regards, Lynne Parker and family." Supporting and promoting the amazing seasonal produce that Sussex has to offer and working alongside the best of the best when it comes to local butchers, fishmongers, bakers, coffee roasters, wine suppliers and more! 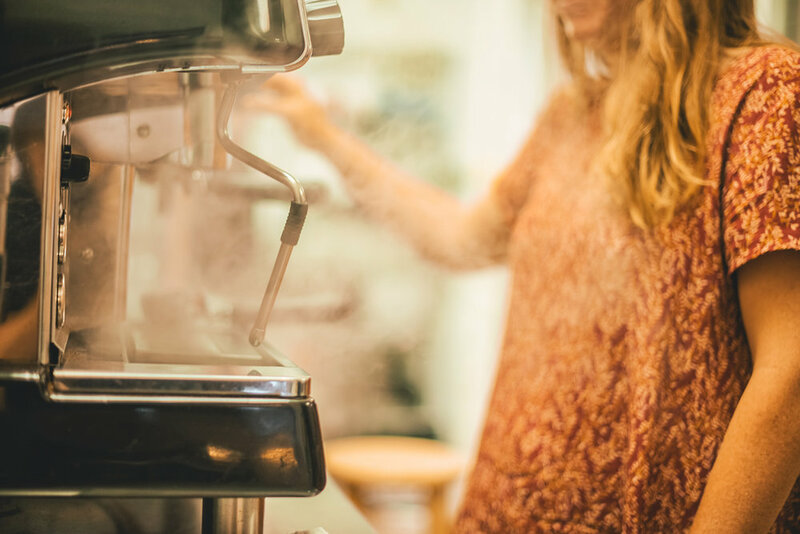 Enjoy Breakfast classics cooked with the highest quality ingredients from local suppliers, served alongside hand-crafted coffee made just as you like it. And for Lunch? We serve lighter lunches such as fresh fishcakes, sandwiches and salads, but also Downs reared beef steaks and whole fish from the fishmonger at the seafront for those wanting a more substantial meal. We always have a good selection of vegetarian options available as well as vegan and gluten free, and our chef is more than happy to adapt the menu wherever he can to accommodate any dietary requirements. Please do just ask! Bustling Skylark cafe gives way in the evening to a relaxed setting where diners can enjoy our a la carte menu by candle light, featuring dishes such as Sussex-bred lamb and locally-caught lemon sole. Our carefully selected wine list offers a strong choice internationally as well as some beautiful English wines, and we are proud to stock the delicious beer from our nearby micro-brewery too. 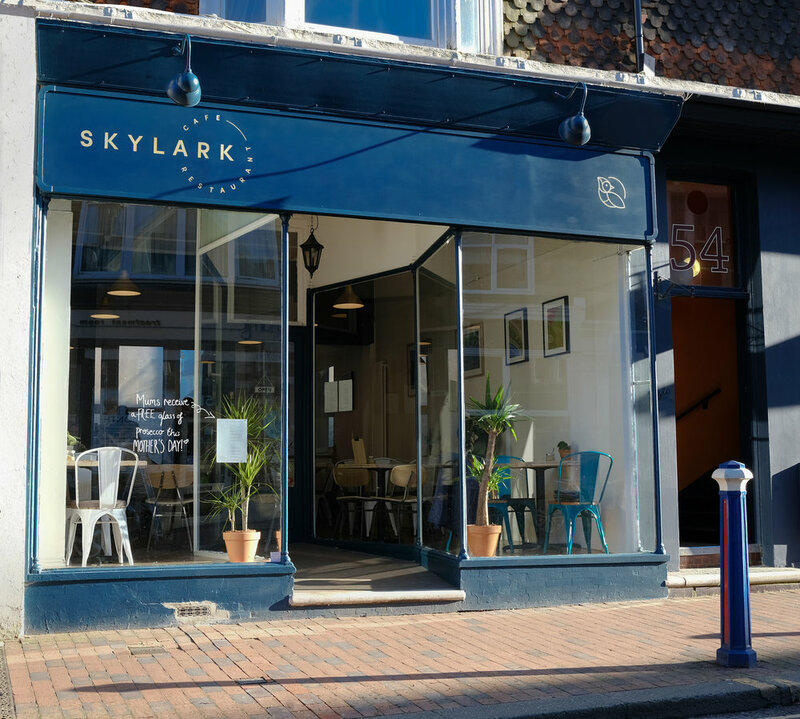 Skylark is available for private hire in the evenings (excluding Fridays and Saturdays) and might just be the perfect venue for your special occasion- get in touch to find out more!